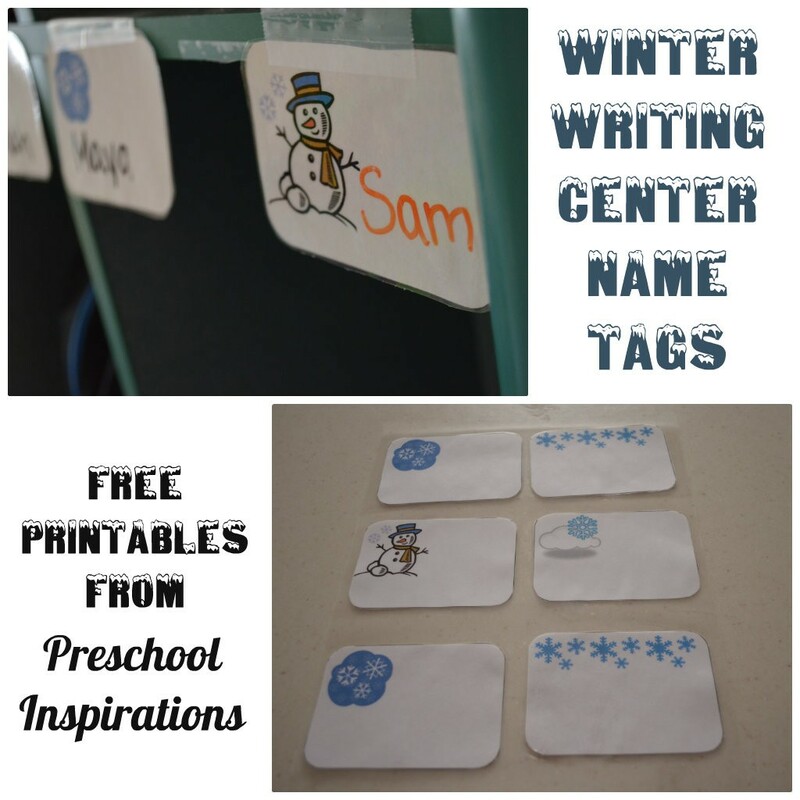 If you are looking for some fun and inviting winter writing activities or name tags, you are in the right place! 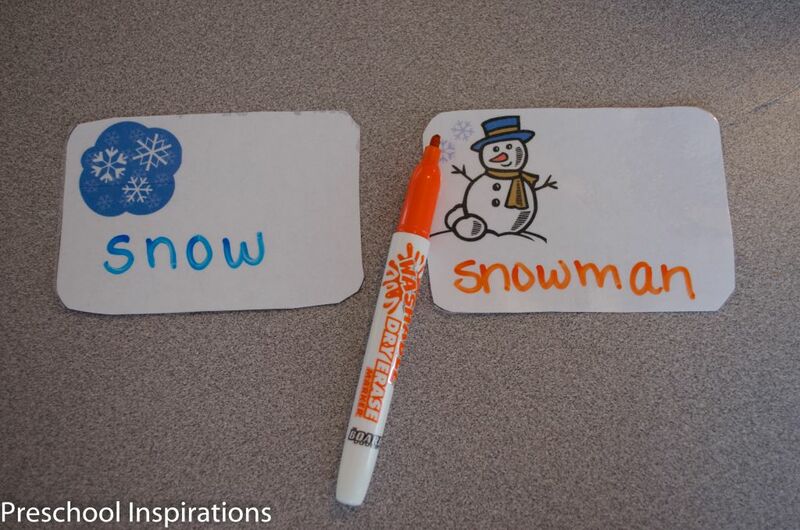 These are great for winter-themed name tags, writing prompts, winter cubby tags, or even to make labels. 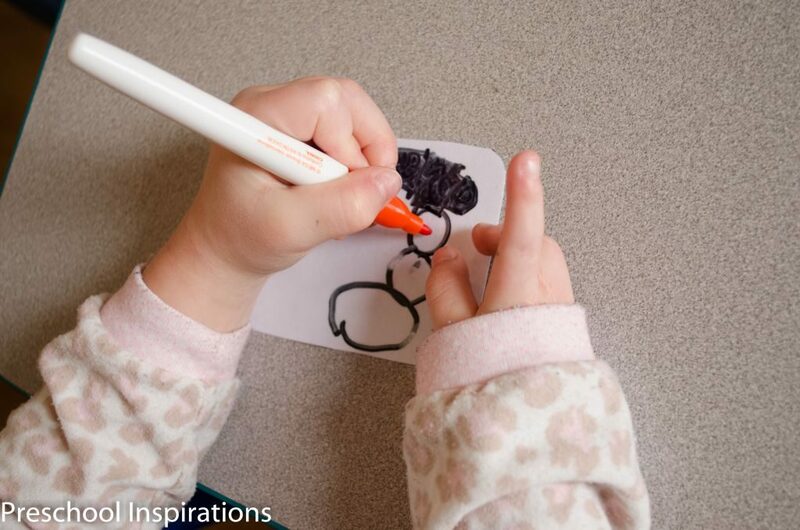 You can use these for a home or classroom, or it is a great way to encourage fine motor practice and pre-writing/writing skills for little hands. My sweet four year old, Sugar and Spice, actually deserves the credit for the writing aspect of this. 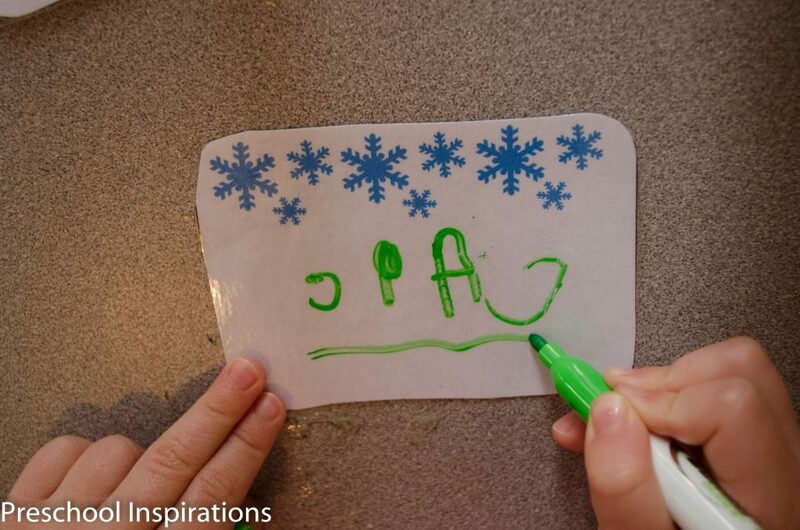 I originally made these winter printables as cubby name tags. I printed off too many, and she started copying her friends names onto the extras. I went with her lead, and I copied and laminated some more. Then we put them into our writing center. I love laminating papers because it makes them an instant dry-erase activity. Many people have asked which laminator I use, and I love this laminator. You can find it at Wal-Mart too, or if you follow my facebook page, I’ll tell you when it goes on sale! For laminating pouches, I definitely get these affordable pouches! Don’t make laminating expensive — it doesn’t need to be :). 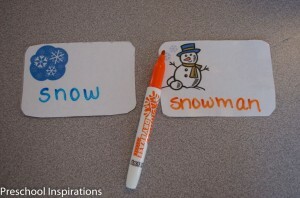 I just laid these cute name tags out with some washable dry erase markers , and they took off with it. Some practiced their names, while others just made letter like symbols. There were even some who just wanted to draw pictures. My goal is to make writing enjoyable and stress-free! Even if a child is not copying letters or writing what I intended the activity for, I have to remind myself that whether they are writing what I want or what they want, they are strengthening the necessary muscles no matter what! It is also a wonderful way for children to explore writing and begin enjoying it. 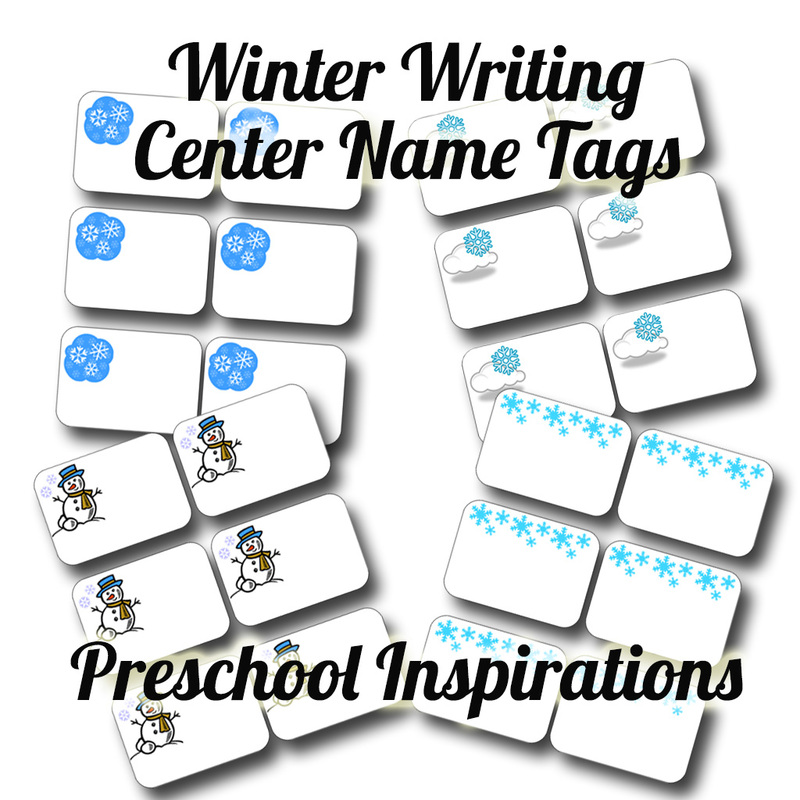 Just download these Winter Writing Center Name Tags to make your own winter writing center name tags. Cute name tags and bravo for following and encouraging the lead of the child! Thanks, Michelle! It is a pleasure to have you visit :). I am just in love with the whole child led philosophy. It makes learning so much more meaningful and effective!